KOBANE, Syria — American military leaders are "constantly apologizing" for President Donald Trump's Syria withdrawal plan, according to the commander who oversees a force of 65,000 U.S.-backed fighters that's battling the Islamic State. 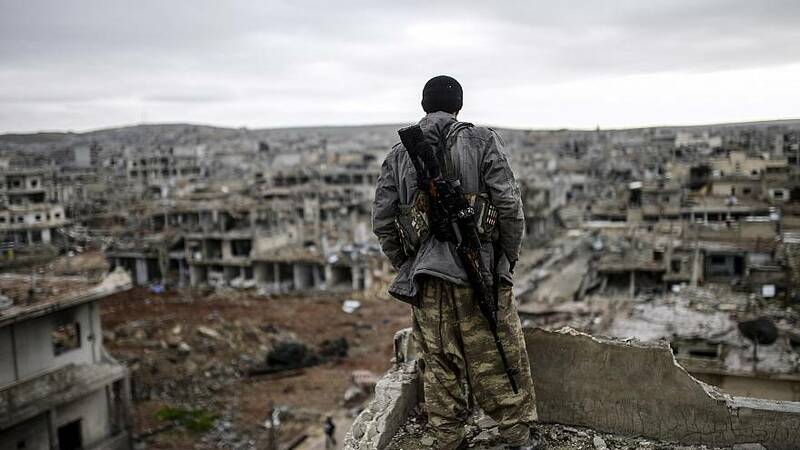 "It was a joint war, but they left us in the middle of the road," said Gen. Mazlum Kobane, who is in charge of the coalition of militias known as the Syrian Democratic Forces.U.S. troops and Kurdish-led fighters were "brothers in arms" as partners on the ground in the war against ISIS in Syria, he added. But Trump's announcement that he was withdrawing all U.S. troops from the country immediately has left the Kurds feeling abandoned. The president tweeted on Dec. 19 that the U.S. had "defeated ISIS in Syria," adding that was the "only reason" to have troops on the ground there.On Wednesday, ISIS claimed responsibility for a suicide attack in Manbij that killed 19, including four Americans.Kobane highlighted that Trump's decision, which was widely seen as the abandonment of a loyal ally, was made against the advice of some U.S. commanders. "They are embarrassed," he said, referring to his American counterparts. "They didn't expect this decision. It's out of their hands, and they are constantly apologizing for it. 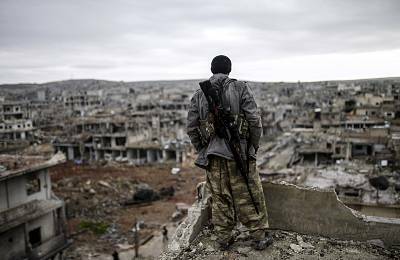 "Kobane said he had lost 6,500 fighters in the anti-ISIS fight. Turkey has designated the Syrian Kurds' YPG militia as a terrorist organization and part of the outlawed Kurdistan Workers Party.The Kurds now fear an attack by NATO member Turkey, which views Kurdish separatism as a paramount security threat.Administration officials later said the drawdown will happen more slowly than Trump had initially suggested. National security adviser John Bolton said on Jan. 6 that American troops will not leave northeastern Syria until ISIS is defeated and American-allied Kurdish fighters are protected.But Kobane said the Kurds still see the pending U.S. pullout as "an insult, a breach of credibility and a broken promise. "Richard Engel reported from Syria, and Kennett Werner from London.